Relax and Savor Every Sip. Leave the Driving to Us. Explore our wine tours of North Fork and East End for the pinnacle of luxury transportation throughout Long Island’s wine country. Whether you’re a wine connoisseur or new to the vines, Executive Limousine will deliver an unforgettable wine tasting getaway. 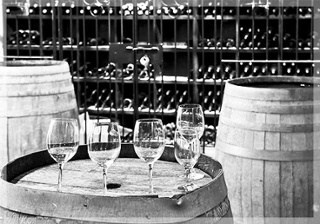 We’re Long Island wine tour experts—and with our wine tour packages, we’ve taken care of all the planning for you. All you need to do is get your group together. We’ll handle all the details and pick you up at the location of your choice. Contact our seasoned Wine Tour Manager to start planning your personalized group wine tour. Select from one of our most popular prepared packages or customize your own tour. Our chauffeurs are the best in the business and they know Long Island wine country like the back of their hand. 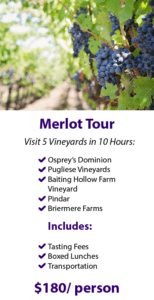 When you take an Executive wine tour, your chauffeur isn’t just going to drive you from point A to point B. They’ll go above and beyond—including making stops at local pie stands, playing your favorite tunes and chatting about the local vintages—to make your wine tour experience the top-notch. With our extensive fleet of vehicles, we can accommodate groups of any size. Our Wine Tours can be reserved in new, top-of-the-line, stretch limousines, limo buses, and party buses. Visit some of the most sought-after vineyards in all of Long Island, with plenty of time in between to enjoy yourself in your luxury vehicle of choice. Best of all, you can sip safely by leaving the driving to US! 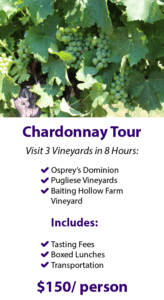 There is no better way to experience the scenic East End Vineyards and sample the best wines of the North Fork than in the privacy and luxurious comfort of your own custom Wine Tour Limousine. So just sit back, relax, and enjoy some of the area’s best wines. Let Executive Limousine take care of everything else! Our luxurious and elegant vehicles, combined with our knowledgeable chauffeurs, have made us the leader on Long Island for North Fork Wine Tour Limousine transportation. 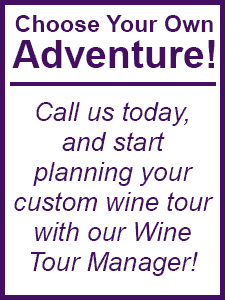 Contact our Wine Tour Manager and start customizing your wine tour! Need Help Planning Your Tour? Already have your trip planned? Allow our knowledgeable Chauffeurs/Tour Guides to take you to the North Fork/East End vineyards of your choice. Want to relax and let us handle the details? No problem! We can plan your entire day at the vineyards for you. We’ll even offer you and your group a special lunch menu! We welcome special requests and can offer a variety of creative limousine wine tour ideas catering to any occasion. Ask us about birthday limousines and anniversary limos. Planning on proposing on a Wine Tour? We can help. Don’t worry, we know how to keep a secret!